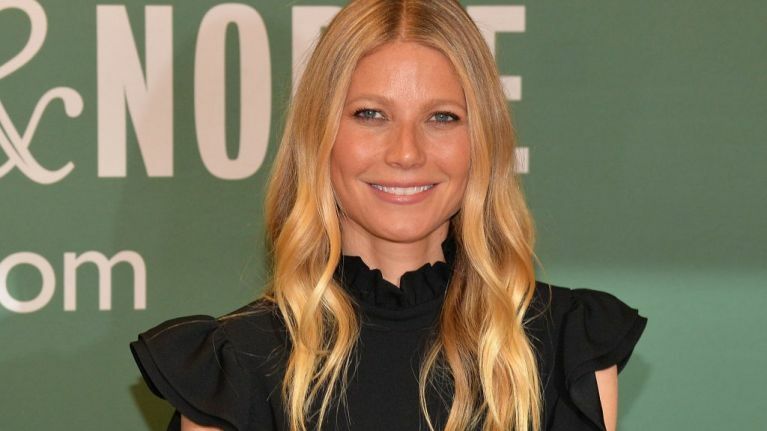 Gwyneth Paltrow barely looks old enough to have kids at all but incredibly, her eldest is now into her teens. The actress tends to shield her children from the spotlight but has just shared a very cute photo with 14-year-old daughter Apple. Gwyneth, 46, posted the photo of herself, Apple and family friend Deven Dees to Instagram in honour of Deven's birthday. "Happy birthday to you, sweet Doobs," she wrote. "My other daughter, your giant heart lights up our lives." In the snap, Apple can be seen giving her mum a kiss on the cheek. It looks like the teen has inherited her parents' height (Gwyneth is 5' 9" and Chris is 6' 1") - she already appears to be taller than her mum. The photo doesn't make it too obvious but we know from previous snaps that Apple is also the image of her actress mum. Gwyneth keeps images of her kids to a minimum on her social media and rarely steps out with them in public. She and Chris Martin separated in 2014 after over ten years of marriage. Chris has been linked to stars including Dakota Johnson and Jennifer Lawrence since then while Gwyneth married TV writer and producer Brad Falchuk in 2018.